If you’re looking for a Free VPN service then it can be hard to find anything good. In this guide we’ve been checking out a range of free VPN services. We wanted to find out which provider offers the best VPN service that will cost you absolutely nothing. We’ll be honest, we don’t advocate free VPN services because often they’re not suitable for any good purpose such as protecting your privacy or streaming blocked media from overseas. 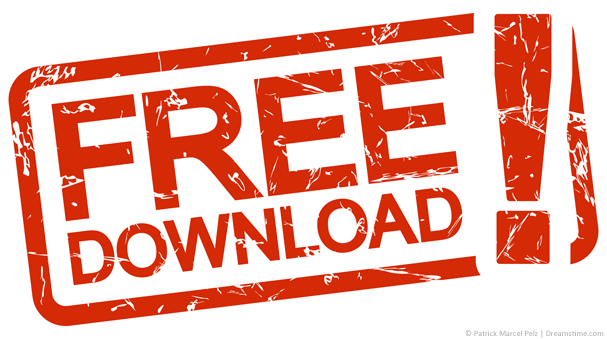 If you want to know more about why it can be dangerous to use “free” VPN services then read further down in this guide. If after saying all that you still want to get a free VPN service then read on as we explore the Top 5 options on the Free VPN market. For a free VPN service the TunnelBear service is actually pretty good and comes recommended by many users. You get 500 Mb of free data transfer per month which isn’t bad considering you don’t have to pay for it. However, for most users 500 Mb per month is not nearly enough to use a VPN effectively. The free transfer limit resets each month but there is the option of upgrading the service to one of their paid accounts which removes the data transfer limits. The free data transfer will be useful for limited mobile use only or if you only have need to use it for a specific purpose one or two times per month. For all intents and purposes you get access to the full TunnelBear service only limited by data transfer. It’s great to test the service but we highly recommend upgrading once you’ve tested it. CyberGhost VPN is another paid provider that offers a free VPN service alongside. While there are nowhere near the number of servers available on the paid service there are a decent 15 countries covered. We really like the fact you don’t even need to sign up to use the free service. Just download the software or app for your device and away you go. Some options are limited, it’s no good for unblocking streaming sites such as Netflix or BBC iPlayer. You also can’t use it for torrenting and you’re unable to specify which server or country you want to connect to. It’s certainly not as fast as the paid-for service but there are no data transfer limits that we could see. It’s definitely a good way to test the CyberGhost VPN service before signing up to the full paid service. 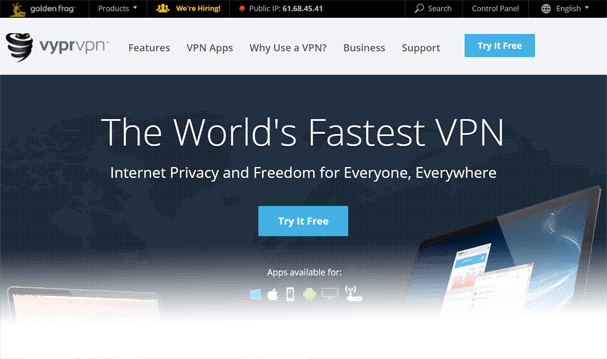 VyprVPN offers one of the best free VPN services although it’s limited in the time you can use it. They offer a completely free 3-day trial that has zero restrictions. You get access to the same paid service that other users get. The only catch is it’s limited to 3-days only. You’ll also need to enter some payment details to take advantage of the free service. As long as you cancel before the 3-days expire you won’t be charged anything. However, if you’re happy to keep the service then you’ll be charged for your first billing period after the 3 days elapse. Although the free VPN service is limited in use because of its time restriction you do get a full VPN service for the grand total of nothing. It’s much faster than many other free VPN services out there and you can use it for accessing blocked streaming websites and more. AVG picked up well-known VPN service HideMyAss back in 2015 and have since launched their very own VPN service. You can assume this is run using the same network as the HMA service. Alongside the paid AVG Secure VPN service there’s a completely free VPN service albeit with limitations. AVG is one of the biggest names in computer security known more for their free virus-checker software. There are limitations with any free VPN service although it’s difficult to find details of what these are on the AVG Secure VPN. It appears to be limited to 30-days only so you’ll need to consider signing up to their or another providers paid for service after this expires. Windscribe is a relatively new VPN service that offers both free and paid-for VPN accounts. The free service which you’re likely most interested in has a generous 10 GB limit per month which is far higher than others such as CyberGhost VPN. While it still won’t be enough if you like to stream movies from sites such as Netflix it could be stretched out for your entire monthly use if you are a light internet user. You also get access to a healthy 11 locations across the world and while you can’t make use of OpenVPN configs directly there is a built-in firewall and ad-blocker plus P2P is acceptable too. The prices of the full service aren’t too bad either so it’s well worth testing the free service and then upgrading to the yearly account if you’re happy with it. After all it’s going to be much better and reliable than any free service, no matter how good that free service may be feature-wise. Choosing a VPN service can be hard enough but when you’re looking for free VPN services then the task is monumental. There are so many pitfalls and privacy issues when it comes to using free VPN services that you need to be extremely careful who you end up using. Initially you should stick with well-known companies who have a reputation for a quality product. The five suggestions listed above all tick this box. However, it’s worth remembering that even companies thought to be reputable can often be using your personal data or access history to pay for the service. Consider the Hola VPN service scandal. A free service that was harnessing the power of users’ connections to power the network. As well as choosing carefully you should also select a provider that covers your needs. If you need more data transfer then consider a service like Windscribe. If you need a quality service but for a limited time then consider a service like VyprVPN. You may have resigned yourself to getting a VPN service for free. We can’t really blame you, we love free stuff too. However, when VPN services are concerned there are some huge caveats to be aware of, of things you usually can’t do with most free VPN services. Most Free VPN services fund their service by utilising data about you to generate revenue. Running a VPN service is expensive and while some VPN services funnel money from their paid-for service to cover the free service, many sell your data to third parties companies to cover the shortfall. It’s worth remembering that when you’re not paying a company to protect your privacy they have little incentive to protect it. If you’re looking for a VPN service that will protect your privacy then take a look at our Best VPN Services for 2018 Guide. With the exception of one or two free VPN services, most won’t allow you to access torrents or P2P. As with privacy if you’re not paying the service then they have no real interest in protecting your download habits. If we’re honest, most people are using a VPN to download copyrighted material. While we don’t condone such actions, a Free VPN service has little interest in protecting you should a copyright complaint turn up. They also don’t want you hogging all the bandwidth of the service downloading large torrent files at the detriment of others. If you’re looking for a reliable VPN service for torrenting then check out our Best VPN for Torrenting 2018 Guide. If you’re after unblocking services like BBC iPlayer from the UK or watching the American Netflix catalogue then a free VPN is no use. Most are overused and when hundreds of thousands of users from the same service are all trying to access TV service it’s easy for them to block the VPN. If unblocking content is your goal then you’ll need a VPN specifically for Netflix such as those listed in our Best VPN for Netflix Guide. Or you’ll need to follow the instructions in our How to watch BBC iPlayer abroad guide. Personally we don’t use free VPN services and for some very good reasons. The positive of free VPN services however is that they are free. Unfortunately in comparison to a paid for VPN service such as those listed in our VPN Comparison Guide that’s really where the positives start and end. There are so many horror stories relating to free VPN services, below are two of the worst examples. The case surrounding Hola is probably the most well-known. Hola is a free VPN service that was caught utilising users’ computer systems and networks to power their service. This wasn’t made entirely clear and Hola felt the wrath of the security community when it came to light back in 2015. More recently in 2017 free service Hotspot Shield VPN was fingered for sucking up large amounts of data about their users and having the ability to sell it. They also went one step further and were accused of injecting adverts and trackers into users connections. Free VPN services are here to stay whether we like it or not. If you absolutely must use a free VPN service then the five listed above are probably some of the best. If however you can spare the price of less than one coffee per month then you can get access to a paid VPN service. It won’t just be considerably faster than a free VPN service, it will be all round better with more features. The choice, however, is yours. Free or Paid, you decide. Just remember, if you do end up using a free VPN service make sure you understand the limitations of it. If you want to check out our recommended VPN service then click the button below, they have a 7-day money back guarantee if you’re unhappy.